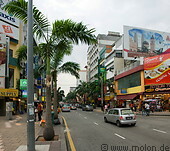 Bukit Bintang street lies in the centre of the Golden Triangle area. 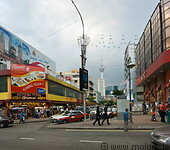 With several adjacent shopping malls hotels, cafes and restaurants it is a tourist magnet and a major shopping area in KL. Parallel to Bukit Bintang street lies Jalan Alor, which is full of restaurants and open-air eateries.